The next process is to move the first standard backward through the same distance. Then the white-light fringes will again appear on the front mirror m. Finally we move the reference plane again through the same distance and, if the second standard is twice as long as the first, we get interference fringes on the two rear mirrors of the two intermediate standards. 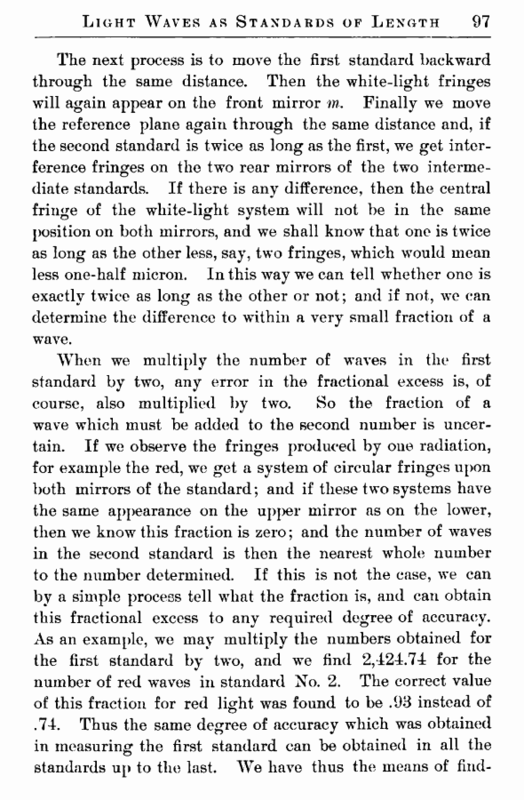 If there is any difference, then the central fringe of the white-light system will not be in the same position on both mirrors, and we shall know that one is twice as long as the other less, say, two fringes, which would mean less one-half micron. In this way we can tell whether one is exactly twice as long as the other or not; and if not, we can determine the difference to within a very small fraction of a wave. 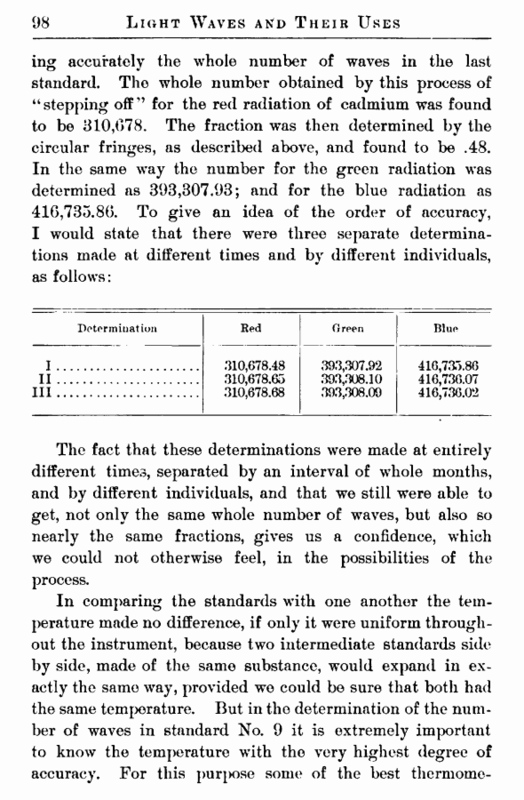 The fact that these determinations were made at entirely different times, separated by an interval of whole months, and by different individuals, and that we still were able to get, not only the same whole number of waves, but also so nearly the same fractions, gives us a confidence, which we could not otherwise feel, in the possibilities of the process.